It’s been a while since a post here, late May to be precise when we discussed the importance of learning from our forest elders. This post is a bit more personal than previous ones, except perhaps the one where we honored the memory of student Chris Dennis and his support of our book’s early efforts, back in 2013. Within the context of the forest we experience a different sense of time. The decisions of people before us for hundreds of years play themselves out in the forests we experience today. In the same vein, we have the opportunity to set the future course of how forests are stewarded (or not), and what abundance is found there (or not). What I find today, walking in most woods, are the stories of past neglect and abuse of this precious resource. For the past several hundred years, the name of the game has been take the best, and leave the rest. The forest is a genetic library, where the evolution of species in their quest to adapt to site and climactic conditions has been working for thousands of years to adapt. We have basically spent the last two hundred years checking out all the best “books.” The forests we see today are only a glimpse of what could be. This is one side of the story. Yet, in small patches of woods all over the eastern forest, a vision for something different is present. I see it in the MacDaniels Nut Grove, where I get to walk students through 90 year old nut forest, planted by a passionate professor in the 1920s. I visit the woods Mike Demunn has managed for decades, where tall towering trees remind me that taking the best is a choice, not a mandate. And each year I visit the Cornell Paw Paw orchard, where researchers planted hundreds of trees in 1999 and so we can enjoy this ironically exotic native fruit it all its glory. 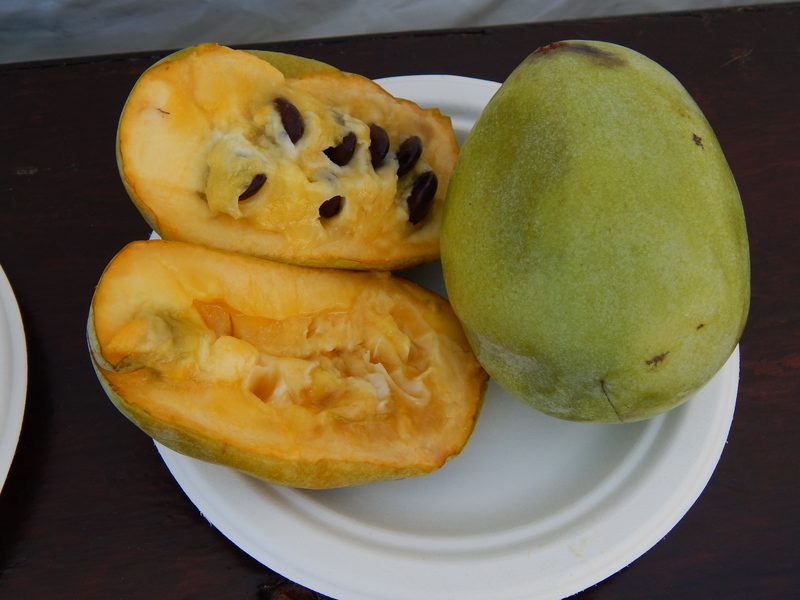 Yesterday I ate my first paw paw of 2015. The sensation was first one of childlike wonder and excitement, not like what I feel when I taste the first run of maple sap or pluck the first shiitake mushroom from a log on our farm. Following this moment of pure joy are memories of the past years, and the connection to a seasonal cycle, where I connect to the larger part of nature, marking moments in time with plants, animals, and fungi as they emerge from dormancy, grow, store energy, and reproduce. These seasonal cycles are incredible powerful in grounding me to time and place. And each season it gets deeper. I’ve now consciously witnessed the leaves turn color and fall to the ground for 20+ years. I’ve now tapped trees and welcomed the slow thaw of the forest for over 10 years. I’ve now inoculated and harvested mushrooms from the woods for 6 years. And I’ve gleefully plucked and gorged myself on paw paws for the last 4 years. And while these things offer me a sense of place, and some sense of consistency as a member of the natural world, each year is also, of course, different and unique. Last year at this time as I cut the first paw paw fruit, Farming the Woods had just been released into the public eye. The year before that, Ken and I were spending every spare moment writing away and visiting case study sites. And this year, I am reviewing the big picture of my life, and what it all means, amidst supporting my wife, who was diagnosed with Colon cancer in July. The fear, grief, and uncertainty of the future has put me in a completely new frame of mind. For one, the important things in life – family, friends, and place – have been dramatically sharpened into focus. I’ve also had to adapt in news ways to be ready and willing to change plans and change course at a moments notice. And I witness in awe of the lady I love, and her ability and strength to fight and process her experience of such a terrible disease. The good news is that the cancer appears very treatable at this point. All of this will be far behind us by the next paw paw harvest. It should even be past us by the 2016 sugaring season. And, as I continue to build my relationship to my partner, my world, and these amazing forest cycles, I also am finding that i have some incredible friends in the forest who are along for the ride. I knew that mushrooms are not just food but medicine – powerful medicine. Various compounds in shiitake, oyster, lions mane, maitake, reishi and turkey tail all support immune system health, critical in the wake of chemotherapy. Maitake in particular helps with keeping white blood cells healthy, while lions mane keeps the nervous system active and strong. Since chemo is a treatment which attacks the body, killing short lived cells and thus messing with normal function, it’s critical for mushrooms to be part of the healing process. Not just any mushrooms, but specific ones, in specific forms. To be more precise, both modern medicine research and traditional chances medicine use hot water extracts of mushrooms as the delivery method for the medicinal benefits. This process extracts the powerful polysaccharides and other compounds which do much of the critical work of healing. I was surprised to find out that most mushroom medicines out on the market are simply made from the mycelium of the mushroom that is dehydrated and then powered. 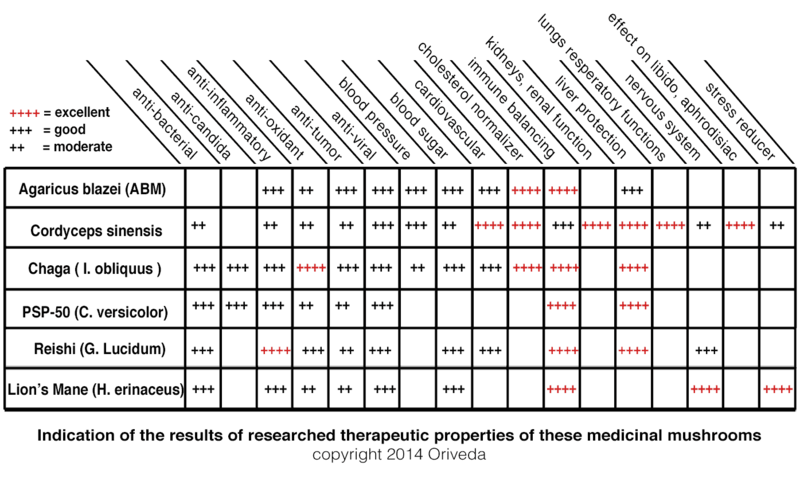 This is not the form that research and traditional medicine sees value in. In fact, the general consensus is that one needs to both harvest a fruiting body, and use a hot water extract, in order to access the medicine. Simply eating fresh mushrooms won’t do it. Of course, eating fresh mushrooms and even the mycelium is beneficial for host of other reasons. There are various effects of the various methods of consuming mushrooms and their compounds. But in the case of treatment for an extreme condition such as cancer, its important to do it the right way. We were surprised at how buried this concept is in the information out there, and that only one company, MushroomScience, offers pills and tincture that is both harvest from the fruiting bodies of log-grown mushrooms, but also does the heat extraction in their preparations. The paw paw, too, has some absolutely remarkable cancer medicine. 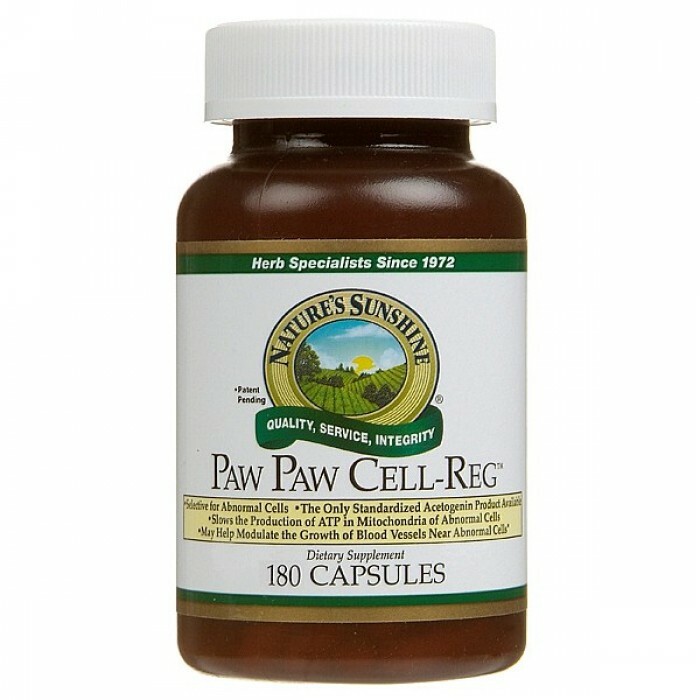 Paw paw contains acetogenins, which modulate the production of adenosine triphosphate (ATP) in cancer cells. This essentially reduces the growth of blood vessel which can nourish the growth of these cells. The compound also slows the growth of certain cancer cells that are resistant to some common chemotherapy drugs. An extract from the twigs is mostly commonly used in medicine. My wife has cancer, and the very forest friends I’ve been getting to know over the past few years are stepping up to help. Growing up, I always knew that I wanted to spend as much time in the woods as possible. 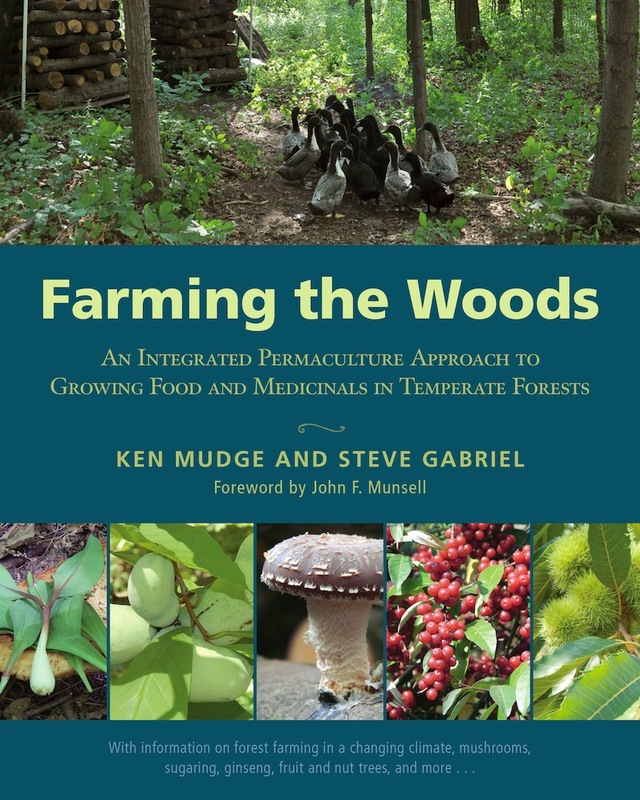 Now, as a farmer and educator, I aim to share what I know and get as many people as possible growing these powerful allies in their woods and gardens. The potential of partnering with the forest, being both steward, producer, and consumer while supporting an abundance and diversity of forest products for future generations is what gets me up in the morning. And I am confident that as long as I partner with the forest in this way, the benefits will continue stacking up. As I think back on our one year anniversary of publishing Farming the Woods, I am reminded that we are all continually learning. As we walk down the road of seeing the forest for more than just the trees, the good news keeps piling up. And I know that there is even more to the story, more to learn and glean from the gifts of the forest. Some of these offerings are basic, from the incredible nutrition and sustenance of the foods to the healing properties they unleash, while some are more far-flung, such as the potential to use fungi in the production of cheaper, biodegradable batteries to their ability decompose plastic and clean up toxic waterways. This one year anniversary marks the re-start of regular blog posts to the Farming the Woods website. Read, enjoy, and share. Be in touch if you want us to cover a certain topic. And stay tuned for more exciting developments from the woods.